CBS Corp. on Tuesday kicked off earnings season in fine fashion, resoundingly beating Wall Street’s expectations in the wake of a powerhouse upfront bazaar and an uptick in licensing and retrans dollars. In the second quarter of 2011, CBS generated profits of $395 million, or 58 cents a share, up 163 percent from $150 million, or 22 cents a share, in the prior-year period. Analysts had anticipated a profit of 45 cents per share. Consolidated revenue grew 8 percent to $3.59 billion, half of which ($1.84 billion) was generated by the entertainment division, which includes CBS’ broadcast and studio arms. Despite tough comparisons to Q2 2010, when CBS reaped the benefit of a political ad windfall and a full share of March Madness dollars—$613.8 million, according to Kantar Media—ad sales were up 3 percent to $2.22 billion. Speaking to investors during an after-hours earnings call, CBS president and CEO Les Moonves crowed about the strength of the ad market and the opportunities brought by new distribution deals. Having booked more upfront cash ($2.65 billion) than any other television network on CPM increases of 14 percent, Moonves once again demonstrated that he’s all too happy to put his money where his mouth is. In March, the CBS boss warned that clients who refused to pay CBS’ asking price would be turned away from the table. As was the case a year ago, clients who opted out of the 2011-12 bazaar are paying as much as 35 percent more for time on CBS than those who made upfront commitments. Moonves said CBS sold 80 percent of its inventory in the upfront, on par with historical precedent. “We could have sold 100 percent at that rate, so we are very pleased with how the upfront turned out for us,” he said. The X Factor will go head-to-head Wednesdays with CBS’ Survivor: Nicaragua and the first half-hour of Criminal Minds. On Thursday night, the X Factor results show will compete with the hit comedy The Big Bang Theory and the new David Hornsby/Kevin Dillon show How to Be a Gentleman. Along with Gentleman, CBS has only five new series scheduled for the fall. A second comedy, the much-anticipated 2 Broke Girls, with Kat Denning, will air Monday nights at 8:30 p.m. The Poppy Montgomery procedural Unforgettable will air in the Tuesday 10 p.m. slot, JJ Abrams’ Person of Interest holds down the fort Thursdays at 9 p.m., and the supernatural drama A Gifted Man leads off the Friday night lineup. 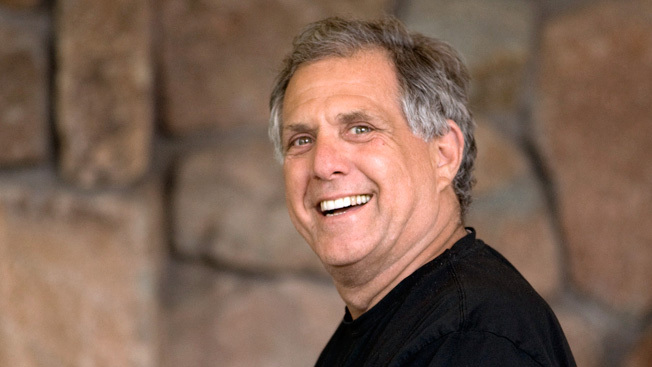 Looking ahead to September, Moonves said he’s confident that the CBS lineup will outperform all comers. During the 2010-11 season, the network won the race for total viewers, averaging 11.6 million per night, down 3 percent from the previous campaign. CBS also took the 25-54 set but lost to Fox in the core TV demo. With a 2.9 household rating/8 share, CBS lost 9 percent of its ratings points. Fox averaged a 3.5/10, a loss of 5 percent year-over-year. Beyond the linear TV business, CBS in Q2 pumped up its content licensing and distribution revenue 21 percent to $889 million. In February, the company inked a deal allowing Netflix to stream legacy CBS TV properties like Cheers and Medium. Meanwhile, CBS continues to receive compensation from cable operators and satellite TV providers, by way of retransmission consent fees. According to RBC Capital Markets, CBS will take in at least $250 million in retrans payments next year, a total that is likely to double by 2016. CBS negotiated a 10-year extension with Comcast in August 2010; the previous year, the network inked a five-year pact with Time Warner Cable. Speaking shortly after President Obama signed the debt ceiling bill, thereby averting a catastrophic default, Moonves said that while it’s understandable why investors may be cowed by recent events in Washington and on Wall Street, the ad market remains robust. CBS is particularly exposed to the vicissitudes of the advertising market, as 65 percent of its revenue is derived from sponsor support. This reliance on external factors accounts for Moonves’ dogged pursuit of retrans cash.